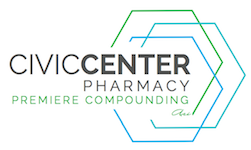 The professional staff at Civic Center Pharmacy will work with you and your practitioner to help find the best solution for your hormone symptoms. There will be a professional consultation fee of $60 that will be applied to your first prescription of customized hormone therapy. To begin, please complete the form below.